Power View - what is it, and should you be using it? 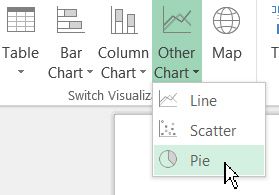 Power View (yes, irritatingly there IS a space in the name) allows you to create sophisticated dashboards within Excel, quickly and easily. You can run PowerView from SharePoint or from within Excel - this blog concentrates on the Excel implementation. However, Power View is also clunky to use, and doesn't fill any obvious gap in the marketplace. This blog looks at what Power View is and does, and considers whether you should be using it or not. When you use the CTRL key to select Dannii Minogue and Kelly Rowland at the same time in the pie chart, their slices go darker and the table underneath instantly changes to show only those contestants mentored by these two fine ladies. Creating this entire report just took me about 30 seconds: the link between the pie chart and the table happens automatically. Not what you expect to see when you right-click on part of a chart. So while Power View is brilliant for quick analysis, I'm not so sure it's a good tool for creating beautiful dashboards. Go to the INSERT tab of the ribbon, and choose Power View. If you want to try out the examples in this blog, download and unzip this small Excel workbook of X Factor contestants. Those who have created pivot tables will find this process refreshingly familiar (well, mostly). 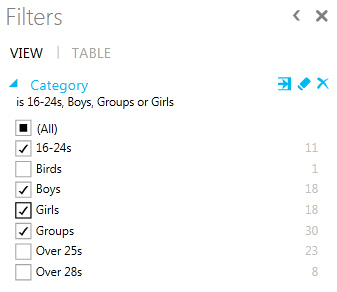 Here we're just showing boys, girls, groups and the 16 to 24 age range. 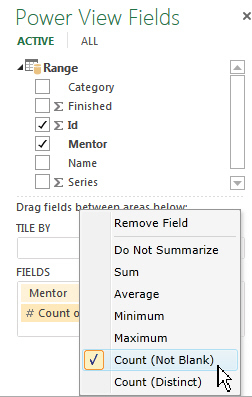 For those not used to these terms, a matrix is like a pivot table (with column headings) and a card puts each record (here each contestant) in a separate rectangle on the screen. For the example above, I began by making the first part of the report into a pie chart. This screen shot gives some idea of how limited are the features of Power View. 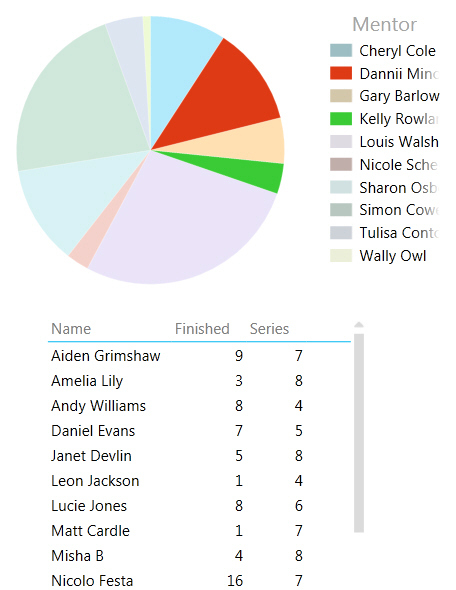 For the example shown at the start of this blog, I then added another table, and it was automatically linked to the first pie chart's selected data slices. Power View also allows you to create maps with built-in drill-down (click on Timbuktu to see all of the products you've sold there in a table alongside, for example). It's not clear yet whether Microsoft will merge Power View maps with GeoFlow, another mapping platform that they are developing. SilverLight Microsoft's proprietary method of providing animations in a web site. Flash The original web animation technology; now on its way out, I'd guess. HTML 5 The new standard for web animations, sadly not yet well supported. 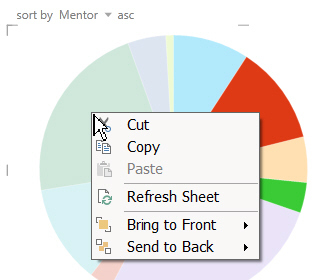 A power view looks like any other Excel worksheet. Reporting Services A much more powerful reporting tool, which allows you to publish reports to your company's Intranet. Competitors Third-party software which does what Power View does, but much better. Examples include Spotfire, Qlikview and Tableau. PowerPivot is an example of a great add-in to Excel, which allows you to base pivot tables on multiple tables from multiple sources. By contrast it's hard, at this stage, to see what Power View brings to the Business Intelligence party.